It was about nine o’clock on the morning of May 18, 1860, when Lincoln came into his law office. H.J. Littlefield, a student, Lewis Rosette, a lawyer, the writer, and one or two others were present. His first words were: ‘Well, boys, what do you know?’ Mr. Littlefield told what he had last heard. Lincoln then said that Dr. [William] Wallace had come down from Chicago that morning, and had said that he thought Seward showed great strength. In a few minutes, Edward L. Baker, one of the editors of the Illinois State Journal, came in with two telegrams. The first told of the delegates coming into the Convention hall. The other told that the names of the candidates for nomination had been placed before the Convention, and that Lincoln’s name had received by far the greatest applause. Baker then went out, but returned hurriedly in a short time with a telegram showing the votes on the first ballot. Lincoln took the dispatch in his hand and looked at it with no expression of word or manner. His face was a blank. Again Baker went out. Lincoln remained silent for several minutes, then, got up, saying: ‘The dispatches appear to be coming to the Journal office, by arrangement, I presume; we had better go over there.” On our way to the Journal office, as we were passing the telegraph office, Lincoln said: ‘Let us go up. It is about time for the second ballot to come.” All but Littlefield and I went upstairs to the telegraph office, while we went on direct to the Journal office. Baker and Bailhache, the editors, and a few others were present when we arrived. Baker himself remembered Mr. Lincoln trying to play a handball game that afternoon. 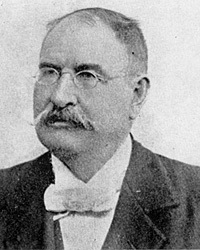 Attorney Christopher C. Brown said he played with Baker, Pascal P. Enos as well as himself.3 Lawyer Charles Zane recalled that leaving the Journal‘s office, Mr. Lincoln “went down to the sidewalk, and several men were near, playing a game which consisted in knocking the ball with their hands against a building. Mr. Lincoln had played occasionally with them to benefit his shoulders, which were a little stiff at times, as he said, and they ceased playing and came up to congratulate him. He said: ‘Come up, boys we will shake hands while we can, we do not know what effect this may have upon our opportunities hereafter.”4 Mr. Lincoln was “nervous, fidgety – intensely excited,” according to Christopher Brown, who said that Mr. Lincoln amused them with stories.5 They later went to a tavern to “play a game of Billiards.” But the billiard tables were occupied so they continued to the Journal Office. Mrs. Lincoln grew estranged as well from Julia’s husband, calling him “unprincipled.”11 Baker continued as the Journal’s publisher until 1874. Ironically despite her dislike of his parents, Mary Lincoln grew very attached to their son, Edward “Lewis” Baker, Jr., who was a considerable help to her in her widowhood. Henry Rankin, Abraham Lincoln: The First American, p. 188-190. Douglas L. Wilson and Rodney O. Davis, editor, Herndon’s Informants, p. 490-491 (Statement of Charles S. Zane). Douglas L. Wilson and Rodney O. Davis, editor, Herndon’s Informants, p. 438 (William H. Herndon interview with Christopher C. Brown). Rufus Rockwell Wilson, editor, Lincoln Among His Friends: A Sheaf of Intimate Memories, p. 137 (Charles S. Zane, Sunset Magazine, October 1912). Rufus Rockwell Wilson, editor, Intimate Memories of Lincoln, p. 139 (Joseph D. Roper). William E. Barton, The Life of Abraham Lincoln, Volume I, p. 495. Paul M. Angle, Here I Have Lived: A History of Lincoln’s Springfield, p. 258. Justin G. Turner and Linda Levitt Turner, editors, Mary Todd Lincoln: Her Life and Letters, p. 187-188 (Letter from Mary Todd Lincoln to Mercy Levering , November 19, 1864). Justin G. Turner and Linda Levitt Turner, editors, Mary Todd Lincoln: Her Life and Letters, p. 288 (Letter from Mary Todd Lincoln to Elihu B. Washburne, November 29, 1865).